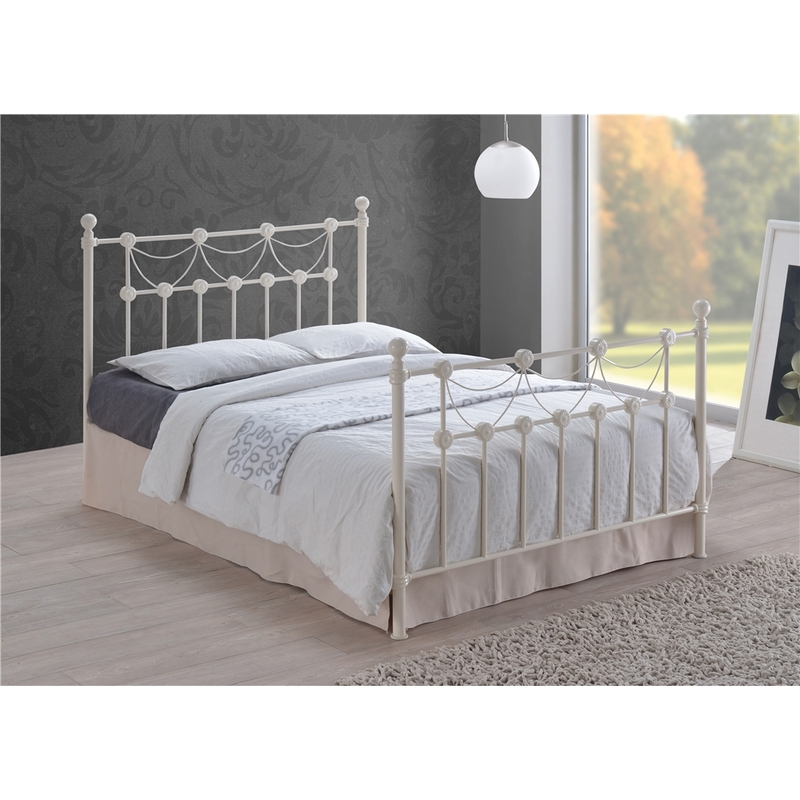 Tuscan Style Ivory Metal Bed Frame - Double 4ft 6"
The is an elegant and Tuscan styled bed frame which will complete every bedroom setting. It has stylish round finials completing the intricate curved metalwork on both the headboard and footend, and is finished in a classic Ivory colour. It has a sprung slatted base for increased comfort and extended mattress life.